Pininfarina assembled the SW in the Borgo San Paolo factory (which is not Fiat’s Mirafiori plant, an important difference). Unique among the T4 cars, it came as an estate though it doesn’t look all that unlike how the Fiat Croma might have done had it been offered in the same format. The Thema did quite well saleswise yet that didn’t seem to help the more distinctive Kappa find more customers when its turn came. That bit I don’t get. Even if the large non-prestige saloon market had begun to shrink by the mid-90’s, you’d have thought that the Kappa’s numerous advantages over the Thema would have compensated and kept the customer base. Other things being equal, I’d have thought about the same number of Kappas would have been sold as were Themas: it’s an all-around decent car, the Kappa. To say that the Thema sold well despite its humdrum looks and shared ancestry with Fiat is also to underplay its strengths. 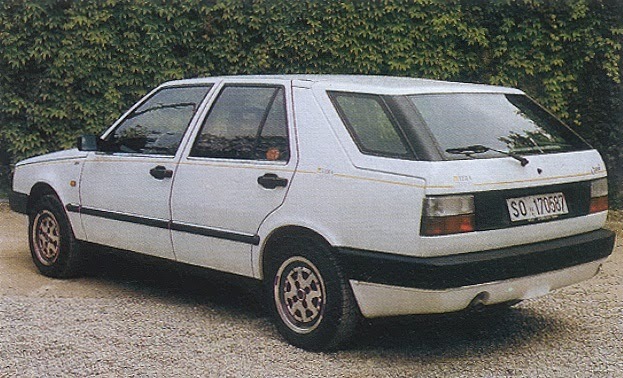 In 1987 Car magazine considered it to have an excellent chassis and refined styling. The car had some powerful engines including a 2.0 litre four and 2.0 litre turbo four, a turbo-diesel and, over its life, an “interesting” set of sixes: the PRV and Alfa Romeo’s own unit. Plus it had a Ferrari V8 (though not officially in the estate – I’ve seen reference to an unofficial one). Car magazine considered the Saab 9000 to be better but it did cost two thousand pounds more. What else did the reviews say? The British ones almost always served up a review formulated as follows: I like the car but probably other people won’t. On the plus side, the Thema had bags of room (as Myles Gorfe might say) and a jolly nice interior. The 2.0 turbo went well and handled too. It might be the pick of the bunch but I’d rather the normally aspirated four. It’s more reliable. Apart from the Citroen XM, which was on sale in the last half of the Thema’s time, the Thema also had a more pleasant interior than its competitors. The Alcantara trim or leather plus teak detailing made for a modern and cosy cabin. It’s comfortable and effective in a Mercedes kind of way (Good Mercedes not Bad Mercedes). Anybody who got out of a Mercedes W-124 and into the Thema would not have seen anything alarming. Opel customers might have been impressed too as the Thema moved things along from all but the most opulent Senators. There was more room in the Lancia than inside the BMW 5-series (E-23). BMW didn’t deal with the legroom problem until 1988. So in many ways, the Thema competed well. On the downside, the torque steer could be annoying and the ride was not as refined as you’d hope for. Also, it looked slightly generic thanks to its engineering obligations to Saab and Fiat. Putting a bit of icing on that fruit cake, Pininfarina’s estate added a lot of room at the back. Wikipedia’s Lancia fans have painted the Thema as one of the roomiest estates in its class. I think that that needs to be taken with a pinch of Italian salt. However, it is true to say there is a good amount of room to be found under the long roof. I looked in the back of this nicely tatty car and saw plenty of empty space. It’s a much more sensible cargo bay than the Kappa’s which really is eccentric. This one is simple and square and good enough to sleep in if you have to. I feel the estate conversion is better handled than the Kappa’s too. Note, you can’t get a Saab, Fiat or Alfa 164 estate so if if you need a T4 estate this is the one to go for. Is that a USP? Here’s the interior. Aren’t those seats good looking? The ones the back are decent too, besting the W-126 and Senator “A” for room. Lancia sold about 25,000 of these cars and this is the first one I’ve seen in six months; the last one was a saloon and also tatty. I do wonder who the Lancia fans are in Denmark. It has never been a very popular brand here. What’s one of these worth? In good condition and with 100,000 on the clock, just €1200. Are they worth the trouble? In a kind of hipster way, yes. They are big, comfortable, cheap and unregarded. Nobody will hate you for having a tiny car and nobody will hate you for being rich enough to have a big estate car. I see this one as a great family car for people who live in the city and want a vehicle to take their chattels around the place now and again but who generally can’t be bothered driving much otherwise. If you wanted some fun, why not drop the Ferrari V8 into the estate car? There’s a nice page here on special Themas, including the sole 8.32 Estate built for Agnelli. Continuing this Lancia microtheme, I have a sad case for Something Rotten In Denmark soon. If you could brave the Ferrari engine then surely the autobox would not be frightening. The Ferrari cars are worth a bit now, aren’t they? Did you ever read the nice long travelogue in Car dealing with the 8.32? Greetings! Thank you for the welcoming note, but I have been here for some time. 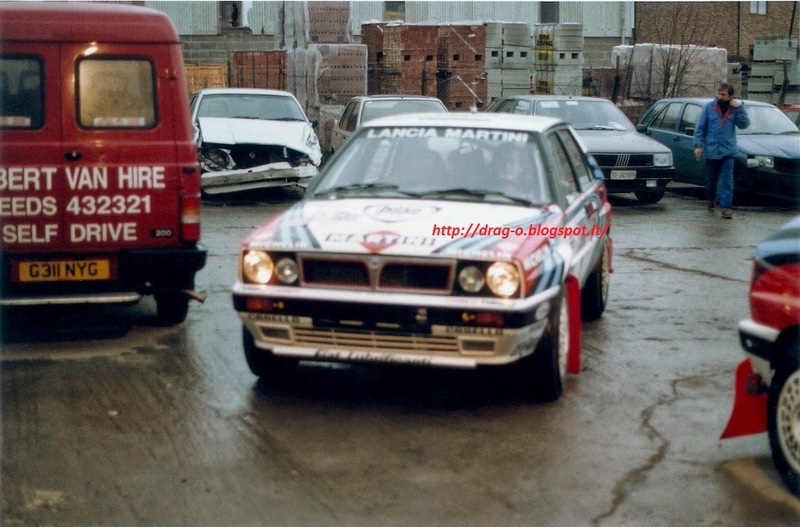 🙂 You may recall our long correspondence about, incidentally, another Lancia (I believe it was Thesis!?!). As for 8.32,I could have read that article in Car, perhaps even in printed version. (I have been reading it since…well, very long time :)…). Thema 8.32 prices are on rise, definitely (image of Ferrari engine, albeit quite different than other Ferrari engines…cross-plane crank and all…), so if I was in market for fast Thema, I would probably choose turbo-4, as it is probably faster in real life than both 8.32 or V6 version. 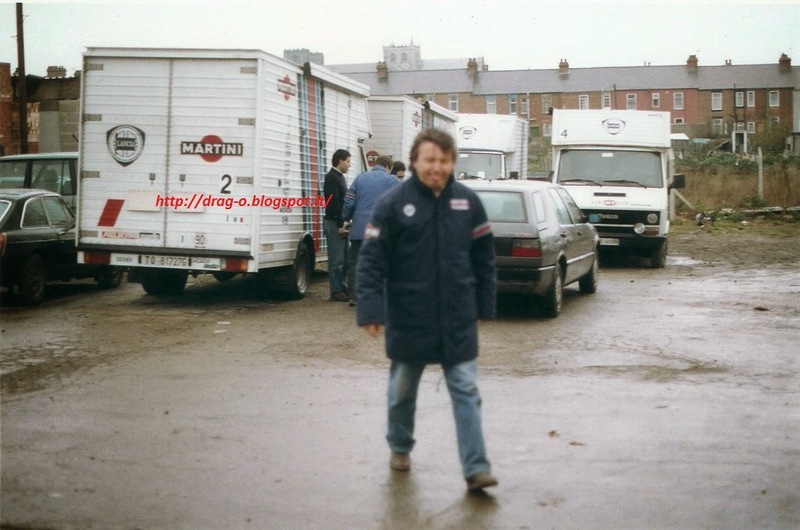 Turns out the rally machines were indeed just factory prototypes that were ‘let out’ on a couple of events. I missed this post about the last RHD Thema’s getting the full wood and leather treatment. I wasn’t aware of that. Do these cars have any following? Are they worth more? Only the last LHDs got the wooden 8.32 dash (no RHD stocks, obviously), but indeed, the last cars on both sides of the Channel were totally loaded. The last few 16V turbos also got the Viscodrive viscous coupling.